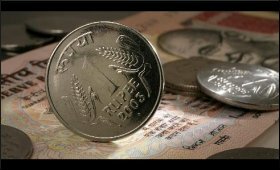 The Indian Rupee has recently seen an upward trend. Though it ended on a flat note at 68.96 per US dollar on Monday, sustained foreign fund inflows and narrowing trade deficit have helped the currency gain a lot of strength last week. Additionally, weakness in the greenback against major global currencies and a heavy buying in domestic equities further aided its appreciation. While the news seems a welcome one, the strengthening Rupee has posed a challenge for our exporters. According to experts, the Rupee is likely to continue its rally in FY 20 on the back of strong fund inflows as FIIs have continued to remain upbeat on the Indian economy, and, in the background of this, exporters fear it will add to the woes of the sector, which is struggling with contraction in global demand, liquidity challenge at the domestic front and fierce competition from other competing currencies. The argument sounds convincing. An exporters' association has pointed out that the RBI's decision for a currency swap to infuse Rupee liquidity is expected to bring down hedging cost, which, in turn, will prompt inflows in the short end of the corporate debt thus augmenting the supply. According to it, exporters who have contracted at Rs 74 to a Dollar but could not hedge it, due to non -availability of limit by the banks, tend to incur huge losses. This concern is no doubt real. Considering the aforesaid factors, exporters are of the view that extreme volatility should be managed through interventions. According to them, the Rupee is nowhere near its real effective exchange rate and interventions will provide requisite competitiveness to Indian exports. Our exports in February showed a nominal growth due to tough global conditions, and in this situation the government should make no delay in coming forward to help the sector beat the new challenges borne of the stronger Rupee.